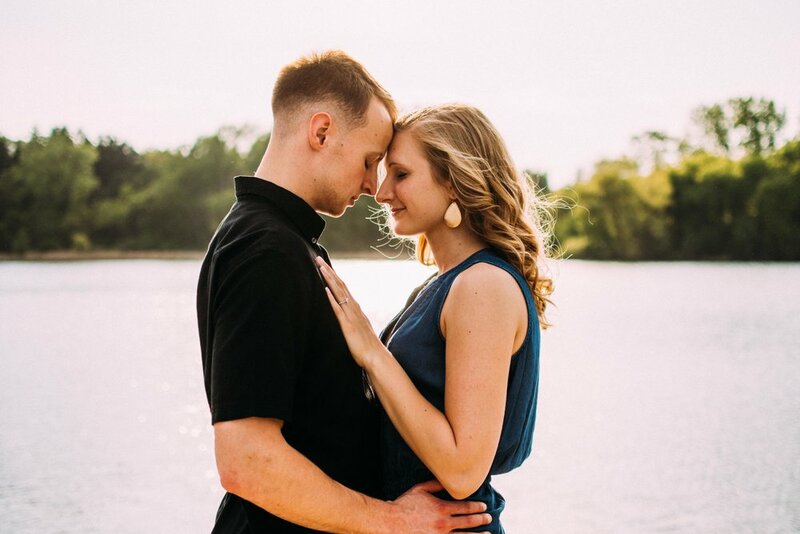 We've done only a handful of sessions at Theodore Wirth Park and we're happy to add Ashley & Bryce's engagement portraits to the list. A beautiful location with great variety all in one spot! Theodore Wirth Park is one of Minneapolis's many beautiful parks that features a lake along with beautiful greenery! Some of our favorite moments during engagement sessions is when they can spend time to just talk. 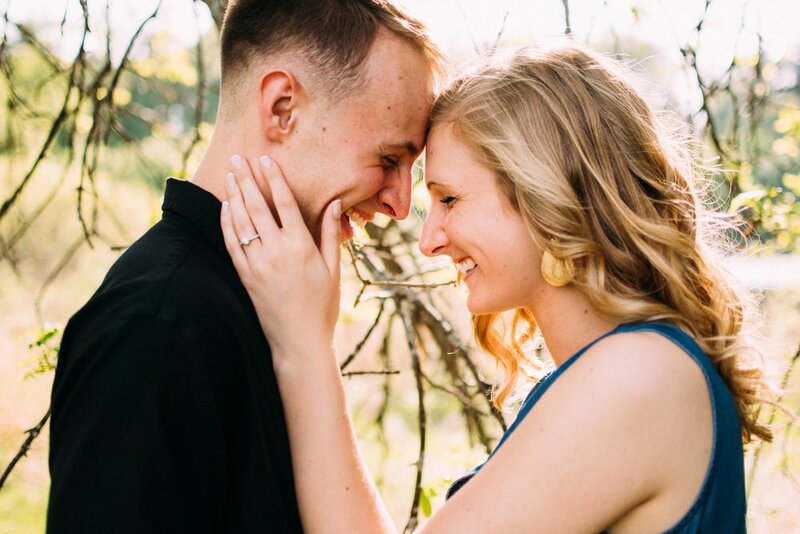 As simple as it sounds, those moments translate into some of the most genuine images - Ashley & Bryce's engagement session is an amazing example of that. Also, golden hour snuggles with the beautiful sunlight peaking behind led to even more beautiful moments between these two lovebirds! Wirth Lake is one of my favorite parts of Theodore Wirth Park. Would we even be Minnesota photographers if we didn't take advantage of lakes during our sessions? 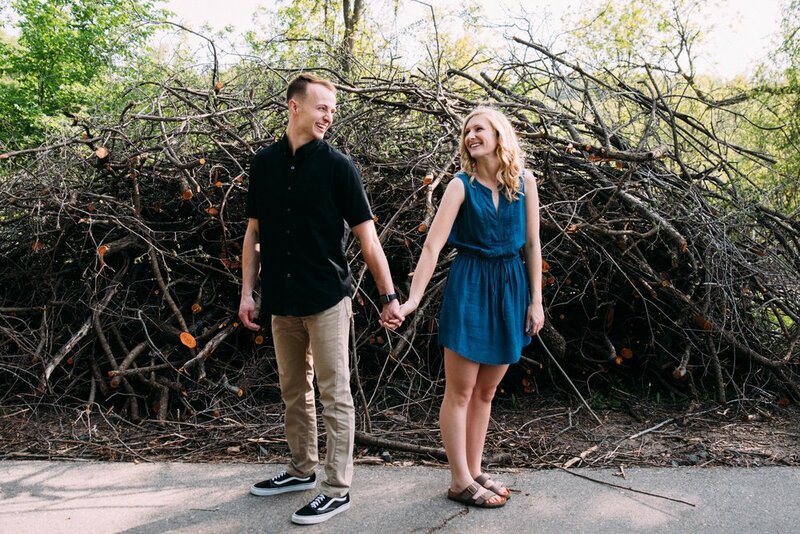 Ashley and Bryce, we cannot wait to capture your wedding in August!